Public education took center stage in San Antonio this past weekend for the National School Board Association’s annual conference, and over 400 Illinois school board members and officials took part April 7-9. The theme of this year’s event was “Be Extraordinary” with programs and sessions recognizing the extraordinary contributions school boards make to narrow achievement and opportunity gaps, eliminate barriers to students’ success, and expand inclusive and innovative practices so that every student reaches their highest potential. Schaumburg DS 54 – Keeping the District’s Core Beliefs, Mission, Vision and Goals and the Core of the Board’s Work: Especially During a Time of Transition. 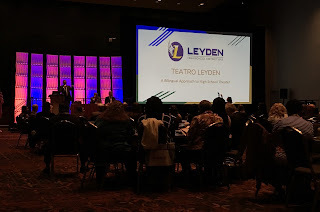 Leyden High School District 212 was recognized for receiving a Magna Award Grand Prize, this year presented to programs that remove barriers to achievement for vulnerable or underserved children. The district shared its bilingual approach to high school theater in an NSBA “Master Class” session. Districts honored by the Center for Digital Education for innovative technology initiatives were Township High School District 214, Edmund F. Lindop School District 92, and Manheim School District 83. In addition, IASB staff presented panels on topics of diversity and inclusion and effective board governance. Board development trainers Nesa Brauer and Sandra Kwasa presented a pre-conference session aimed at helping school board members link diversity issues with achieving district goals, broaden the scope of diversity beyond race and gender issues, reveal and assess the impact of subtle biases on district success, and discuss the behaviors required to create an inclusive environment where every man, woman, and child feels included, valued, and respected. In a new board member “bootcamp” session, Associate Executive Director Dean Langdon and Field Services Director Patrick Rice taught the basics of effectively governing a school district based on foundations and principles. In addition to over 250 workshop or panel sessions, keynote speakers were Terry Bradshaw, NFL legend and co-host and analyst for FOX NFL Sunday; Ann Compton, legendary ABC News White House correspondent; and Julian Castro, former U.S. Secretary of Housing and Urban Development and former mayor of San Antonio. Another important component of the national conference is the Delegate Assembly, which determines the national organization’s public policy agenda. 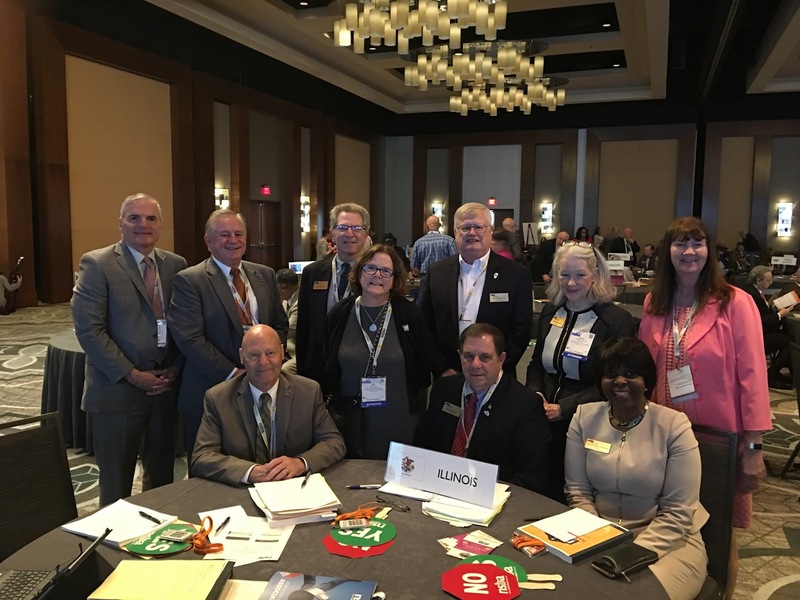 Representing IASB at the Delegate Assembly were President Joanne Osmond, Vice President Thomas Neeley, Immediate Past President Phil Pritzker, Treasurer Linda Eades, and directors Carla Joiner-Herrod, David Rockwell, and Mary Stith. More event coverage is available from the National Association of School Boards newsroom. The 2019 NSBA Annual Conference is scheduled for March 30-April 1 in Philadelphia. More event coverage is available from the National School Boards Association newsroom. The 2019 NSBA Annual Conference is scheduled for March 30-April 1 in Philadelphia.